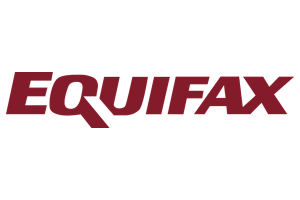 ST. LOUIS (October 8, 2015) – Equifax Workforce Solutions, a leader in human resource, analytics and verification services, and a business unit of Equifax Inc. (NYSE:EFX), today announced details of its prominent role at the upcoming 18th Annual HR Technology Conference & Exposition. This year’s Conference will be held Sunday, October 18 through Wednesday, October 21, 2015; Equifax Workforce Solutions will showcase its thought leadership and expertise in two sessions as well as in the exhibit hall. As legislation, business conditions and workforce demographics continue to change, employers today face a number of compliance challenges. Offering cutting-edge solutions designed to optimize workforce processes – including Affordable Care Act management, I-9 management, tax credits and incentives, onboarding, unemployment cost management, and employment verifications – Equifax Workforce Solutions supports organizations with the cutting-edge technology, high integrity data and unique compliance expertise needed to improve the HR function and minimize bottom line costs. During the HR Technology Conference, Mike Psenka, senior vice president, Analytics for Equifax Workforce Solutions will participate in two educational sessions designed to provide attendees with insights into current issues as well as those innovations and trends set to impact the HR space. The first session, “Building the Next Generation of HR Analytics Technology,” is scheduled to take place on Monday, October 19 at 11:00 a.m. PDT. The second, the conference’s closing General Session, “Ideas and Innovators in HR” will take place on Wednesday, October 21 at 10:30 a.m. PDT. In “Building the Next Generation of HR Analytics Technology,” Psenka will join a panel of technology leaders to discuss the most important focus areas for HR analytics from the perspective of solution providers in addition to their customers. Through the conversation, Psenka will help highlight which tools deliver the most value for HR leaders and how organizations can best prepare to take advantage of coming trends. Session attendees will learn about the future of HR analytics technologies and take away actionable insights that they can apply to planning at their organization. During the General Session “Ideas and Innovators in HR,” Psenka will help close out the conference alongside some of the industry’s most innovative thinkers. This presentation will follow a rapid-fire format, allowing participants to showcase the latest HR strategies, solutions and technologies in an effort to inspire the audience and initiate a new dialogue. Attendees will have the opportunity to learn about the cutting-edge ideas set to influence HR, technology and the workplace in the coming months. In addition to these thought leadership sessions, Equifax Workforce Solutions will be recognized as a winner of Human Resource Executive’s Top HR Products of 2015 Award for its innovative I-9 Anywhere solution at a special awards luncheon on Monday, October 19 at 12:00 p.m. PDT. Attendees of the HR Technology Conference & Exposition interested in learning more about how Equifax Workforce Solutions can provide workforce insights, support compliance needs and measurably impact the bottom line at their organizations are encouraged to visit Booth No. 1527 during exhibition hours. The exhibition hall will be open Monday, October 19 from 10:00 a.m. – 5:30 p.m. PDT and Tuesday, October 20 from 10:00 a.m. – 4:00 p.m. PDT. Compliance experts from Equifax Workforce Solutions will be available to discuss the company’s key solution areas including I-9 Management, ACA Management, Employment Verification Services, Tax Credits and Incentives, Compliance and Onboarding, and more.